Mondrian London’s signature agua Bathhouse & Spa offers guests a haven in which to pamper, recharge and relax. The design is inspired by the tranquillity of the sea: curving walls and luminous, meandering pathways. Enjoy unique SPA therapy experiences, treatments and an exciting selection of luxury products including Soveral, Dr Jackson’s, Natura Bisse, Ciate and more. Mondrian London is located inside the iconic Sea Containers building on the banks of the River Thames. It is the first ever Mondrian-branded boutique hotel outside of the US and brings the heat and energy of the Sunset Strip’s original Hollywood Mondrian to the Southbank. Renowned designer Tom Dixon has infused the hotel with a cool, cosmopolitan style. With cultural highlights nearby including Borough Market, Tate Modern, London Eye and the Southbank Centre, this is the perfect stylish location from which to explore the delights of London. Impeccable riverside dining, a seasonally inspired cocktail bar headed up by Ryan Chetiyawardana, A.K.A Mr. Lyan and a rooftop lounge with outdoor terrace and panoramic views of the city make Mondrian London a must-visit destination. 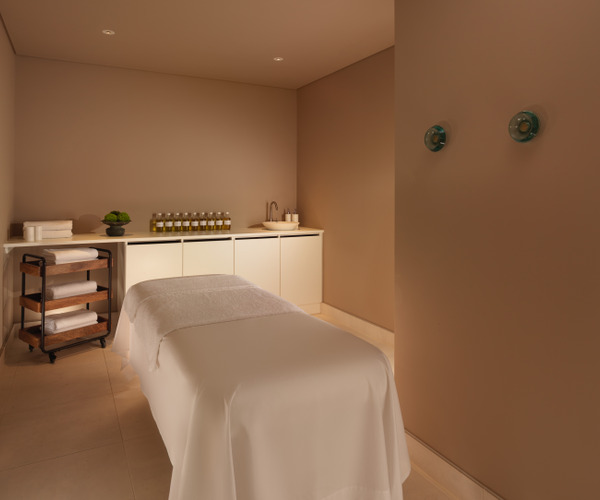 Agua at Mondrian London offers six treatment suites, relaxation space and a manicure & pedicure room. All massage treatments feature bespoke aromatherapy, with essential oils blended onsite for you to take home with you. A wide variety of massages, facials and body scrubs are available, including the celebrated Seasonal Attunement Treatment from renowned aromatherapist Annee De Mamiel. There is also a 24-hour gym with state-of-the-art equipment for all fitness levels. Mondrian London has 359 luxurious guest rooms and suites, many featuring outdoor space and stunning views of the Thames. Award-winning designer Tom Dixon has fused the elegance of a transatlantic 1920s liner with a dash of 1980s post-modernism. The result is a sleek and comfortable ambiance. Inspired by the golden age of transatlantic travel and the bounty of local fresh produce, Sea Containers combines the best of England and America, creating a restaurant that is refined in its offering, yet youthful and casual in its experience. New York Chef Seamus Mullen is Culinary Director, bringing his talent and passion for “cooking with delicious things that can make us feel better” to our beautiful open plan kitchen. Dandelyan transports its guests to a place where they can lose themselves in exotic flavours, magnetic conversation and unexpected combinations. Created by award-winning bar impresario Ryan Chetiyawardana, A.K.A Mr Lyan, and winner of Tales of a Cocktail's Spirited Awards for Best New International Cocktail Bar, Dandelyan boasts an iconic green marble bar and dramatic views of the Thames. Serving both innovative cocktails and refined interpretations of the classics, it takes its inspiration from the botanical wilds of the British countryside and around the world. 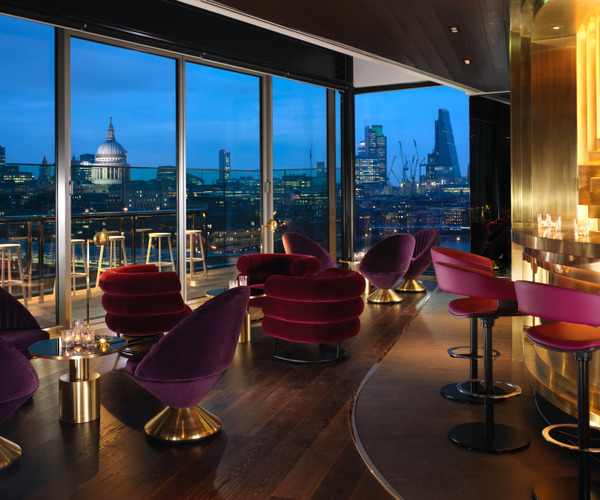 Rumpus Room is the rooftop bar and lounge at Mondrian London. With dramatic views of London, Rumpus Room comes alive as the sun goes down; a magical glittering glass box perched atop Mondrian. As expected, we specialize in bubbly, serving an extensive list of the world’s best champagne offerings, by the glass, bottle, or in specialty cocktails by our resident mixologist Mr. Lyan.